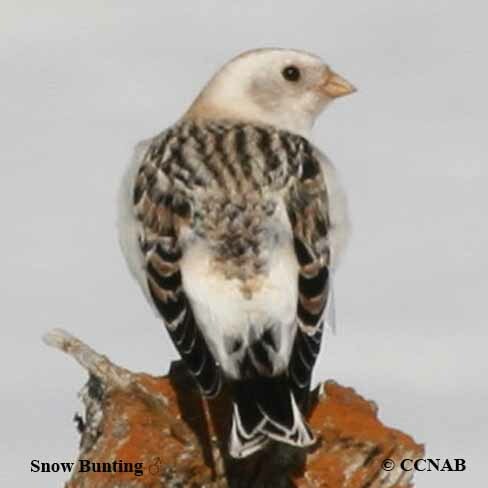 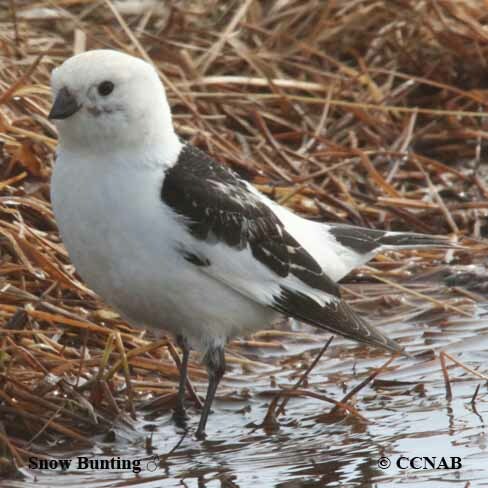 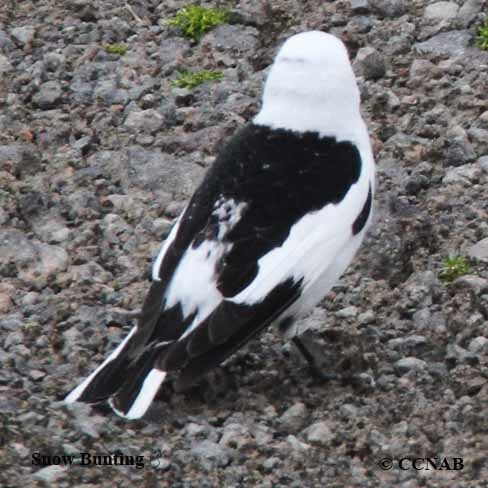 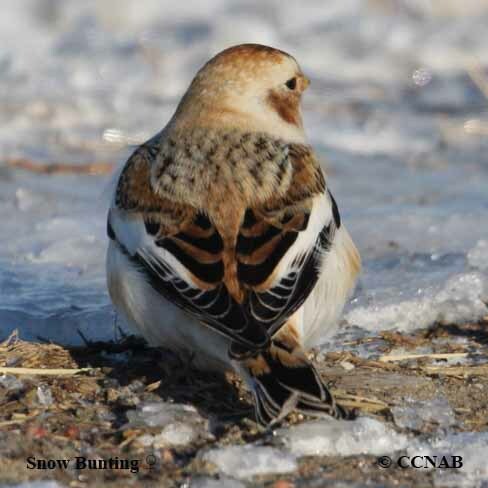 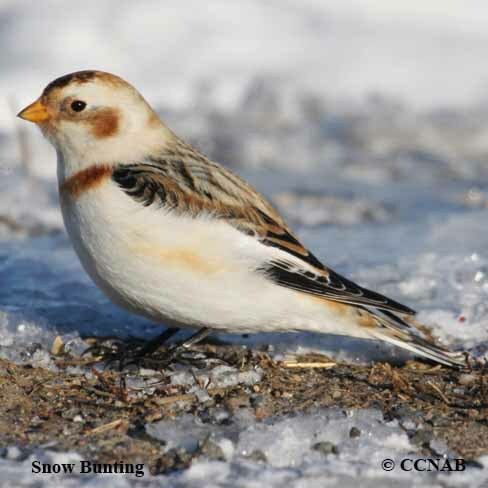 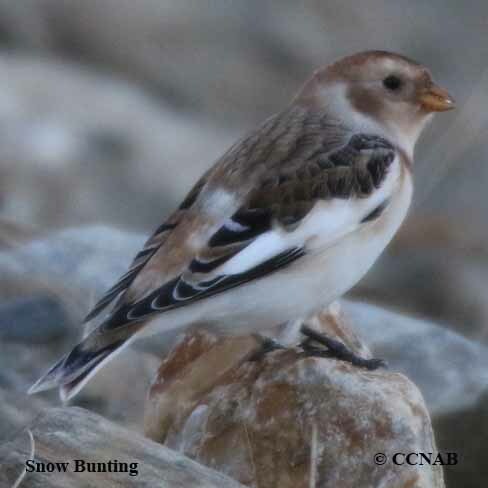 The Snow Bunting breeds in the far arctic. 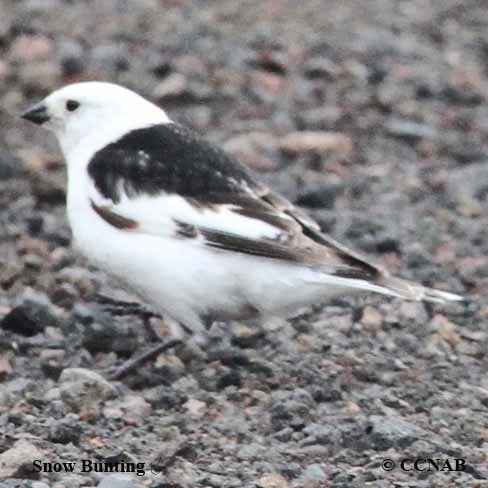 This hardy bird prefers colder temperatures than most birds. 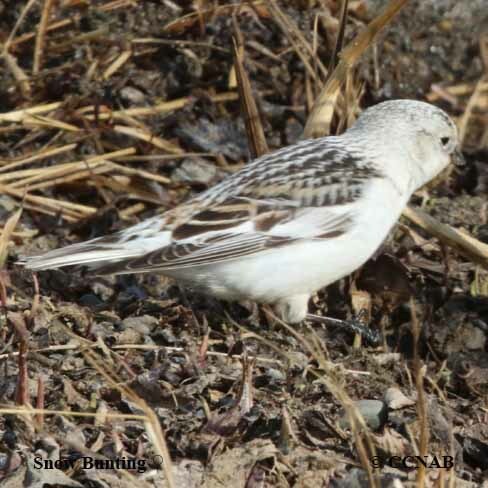 Its plumage changes to mostly white in the spring and summer months and to brown and white in the fall and winter months. 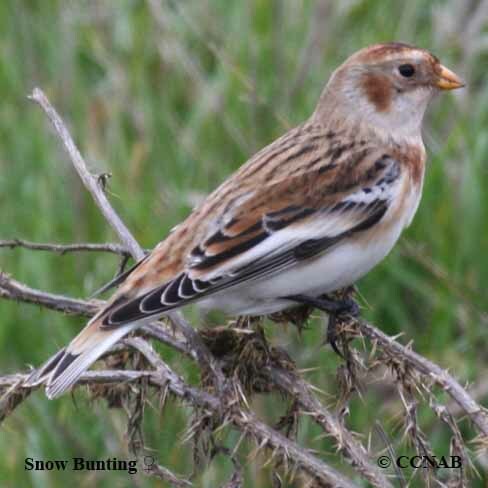 During late fall or early winter, these birds migrate into southern Canada and into the northern US states, showing up huge flocks, attracted to unharvested hay fields, feeding on plant seeds.